Burger Boat Company, founded in 1863, builds custom yachts, in aluminum and/or steel, up to 260' (80m) and is recognized worldwide for design, quality construction, seaworthiness, and reliability. As the foundation of the American yachting experience, Burger is one of the oldest and most respected custom yacht builders in America. As a leader in innovation and design, Burger continues to create an extensive variety of custom yachts. Worth Noting: Burger has been in business for over 150 years. Burger Boat Company, founded in 1863, builds custom yachts, in aluminum and/or steel, up to 260' (80m) and is recognized worldwide for design, quality construction, seaworthiness, and reliability. As the foundation of the American yachting experience, Burger is one of the oldest and most respected custom yacht builders in America. Burger’s modern, full services shipyard, with its extended deep water seawall, launch well, large capacity MARINE TRAVELIFT® and quick access to the Great Lakes, has ample space for multiple new construction projects, refit, repair and maintenance projects at any time. Burger’s expertly crafted joinery is fabricated at its 50,000 square foot state-of–the-art dedicated joiner facility all in an environment that promotes efficiency and quality work. As a leader in innovation and design, Burger continues to create an extensive variety of custom yachts. Burger’s first motor yacht was the 85’ cruiser, "Vernon Jr.," in 1901. During World War II and the Korean War, Burger produced vessels for the Army and Navy. Burger was the first yacht builder to build an all welded aluminum yacht, the VIRGINA, in 1956. Today, each new yacht is reflective of Burger’s heritage and of the personality and cruising requirements of her owner. Burger’s modern shipyard, and its highly skilled engineers and craftsmen, makes Burger the preferred choice for new vessel construction, refit, repair, and maintenance. LADY GAYLE MARIE 140 ft (43m): LADY GAYLE is the fourth Burger yacht built for this repeat owner. Interior volume abounds over this vessel's three interior decks. A round glass elevator, quarter sawn Sapele stile and rail construction with Pommele cut recessed panels and fluted columns create a distinctive, rich interior. SEA OWL 142 ft (43m): SEA OWL has been completely personalized with various hand-carved wildlife motifs above the doorways throughout the vessel. The interior features multiple varieties of teak to create her wall paneling, flooring and furniture. 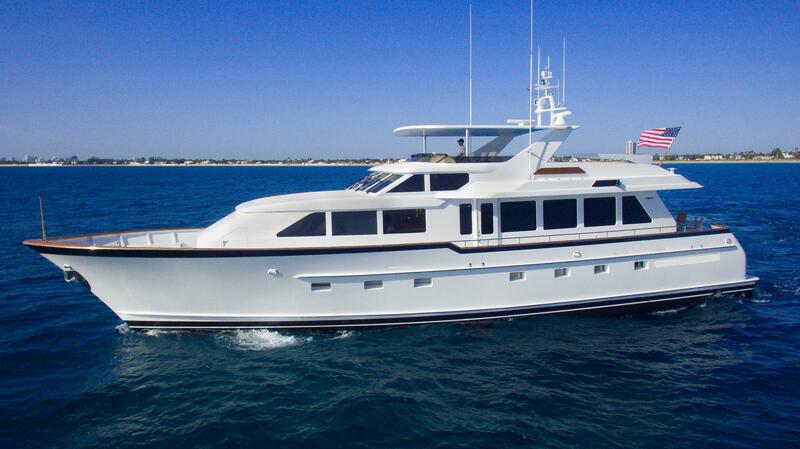 A distinctive green hull and off-white superstructure provide an additional level of elegance. SYCARA IV 151 ft (46m): SYCARA IV recaptures the splendor, grace and charm of an era gone by. SYCARA IV was built as a traditionally styled, early 1920’s era, Fantail Cruiser. SYCARA IV travels America and its surrounding waters such as the Great Lakes, the Erie Barge Canal system and its mighty rivers and the Intracoastal Waterways. TÒ-KALÒN 101 ft (31m): TÒ-KALÒN is a contemporary-styled Enclosed Bridge Motor Yacht that was built for speed by incorporating extensive use of strong, lightweight materials and carefully calculated design and engineering parameters. TÒ-KALÒN’S interior revolves around the Sapele paneling with accents of Sapele Pommele which flows throughout the Main Deck Salon and guest accommodations. 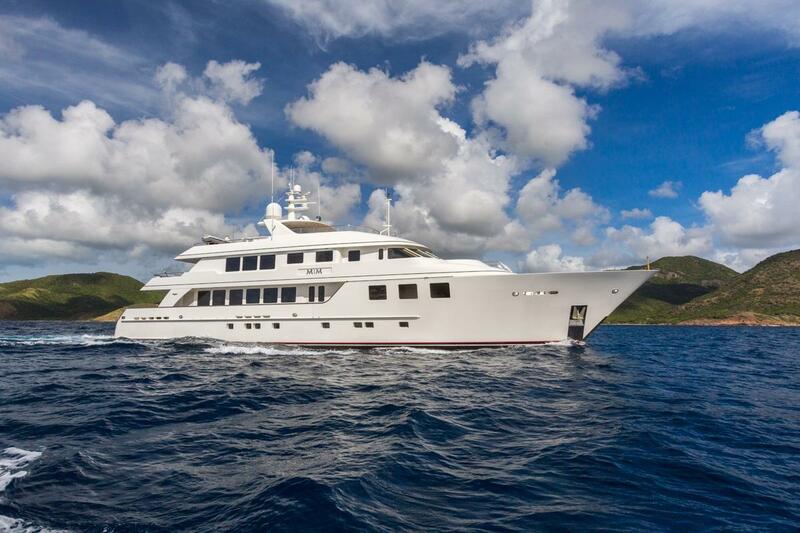 INGOT 153 ft (47m): INGOT is a luxurious and sophisticated tri-deck built and designed to be environmentally friendly. INGOT features a “Neo” Classical motif enriched by traditionally designed, book-matched, raised panel Honduras mahogany. The interior is accented by 104 custom-built round Honduras mahogany pillars with Maple burl inlaid veneers. ARETI I & ARETI II 127 ft (38m): Identical yachts with different ports. Their exteriors are classically styled and the interiors are traditionally designed with recessed paneled Makoré and wonderful fluted column details. The interiors are distinctively styled with a simple, uncluttered elegance combining soothing tones of cream, rust and brown. 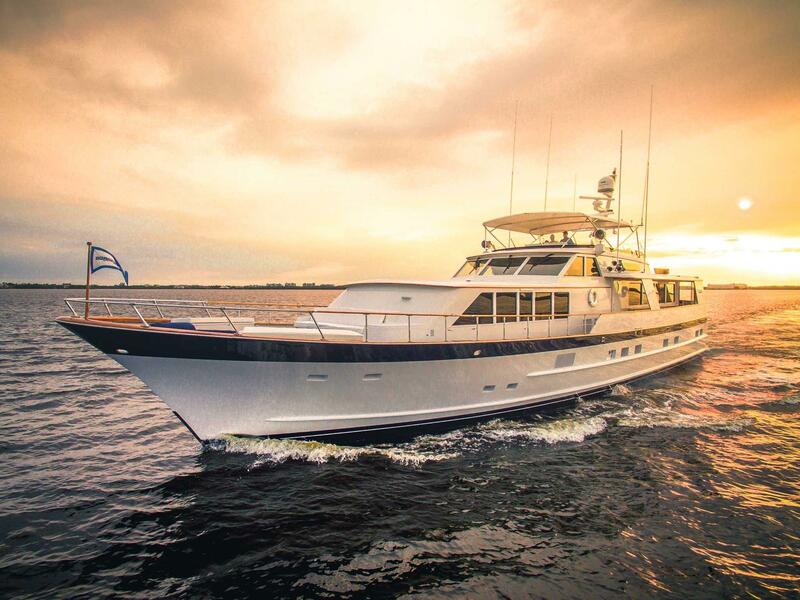 Denison Yacht Sales specializes in helping clients buy and sell Burger Yachts. 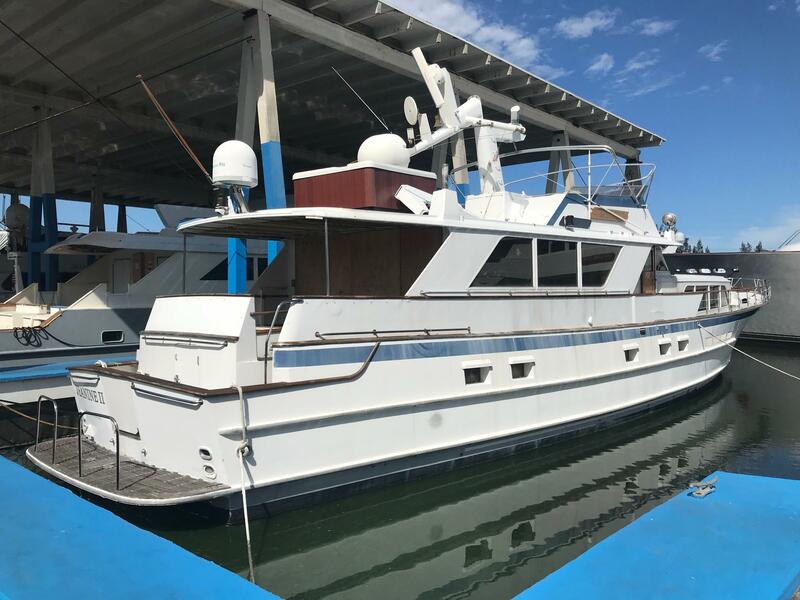 Buying Your Next Burger: Denison Yacht Sales offers you the entire Burger MLS results, including listings of other yacht brokers, even Burger Yachts located outside the U.S. Selling Your Current Burger: Denison Yacht Sales would love to help you sell your Burger! With a team of over 100 licensed yacht brokers in over 19 locations, Denison is ready to provide your Burger with true national exposure. Denison’s comprehensive email and web marketing programs will provide your Burger with global exposure in Europe, Latin America, Asia, and Australia. 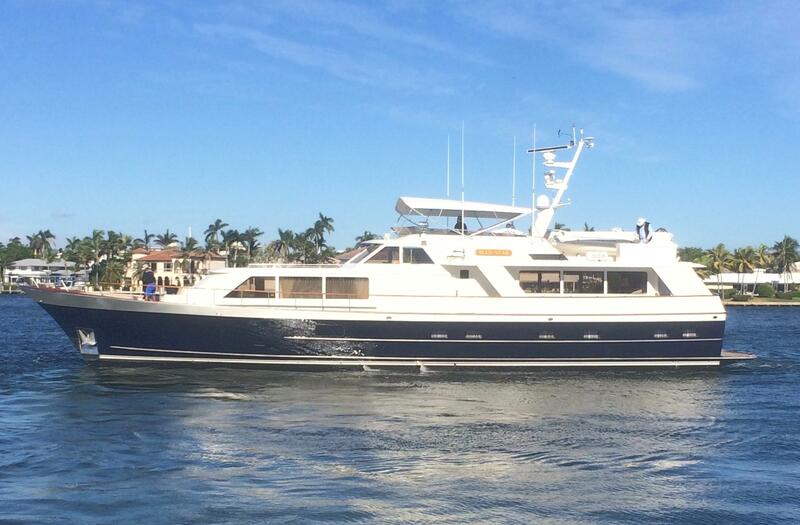 Denison also provides a proven Burger track record, having a history of selling multiple Burger Yachts. 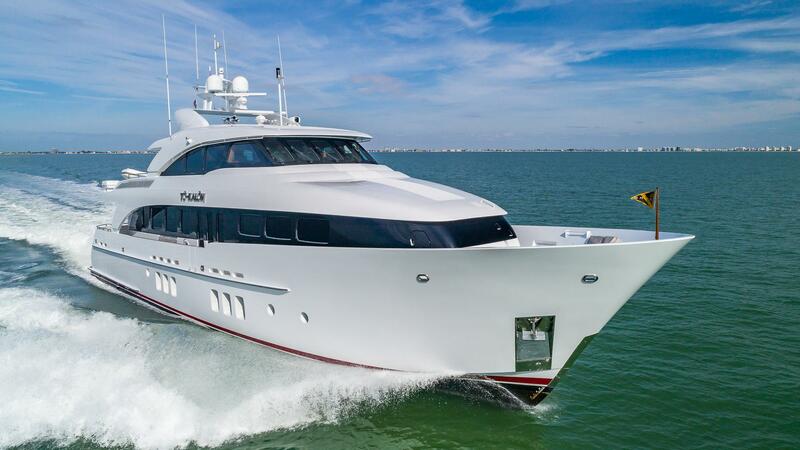 Burger Market Reports: As a Burger Buyer, or a Seller, if you would like to receive an up-to-the-minute Burger market report, reflecting the latest Burger Yachts sales data, contact a Denison Yacht Broker at 954.763.3971 or Sales@DenisonYachtSales.com.